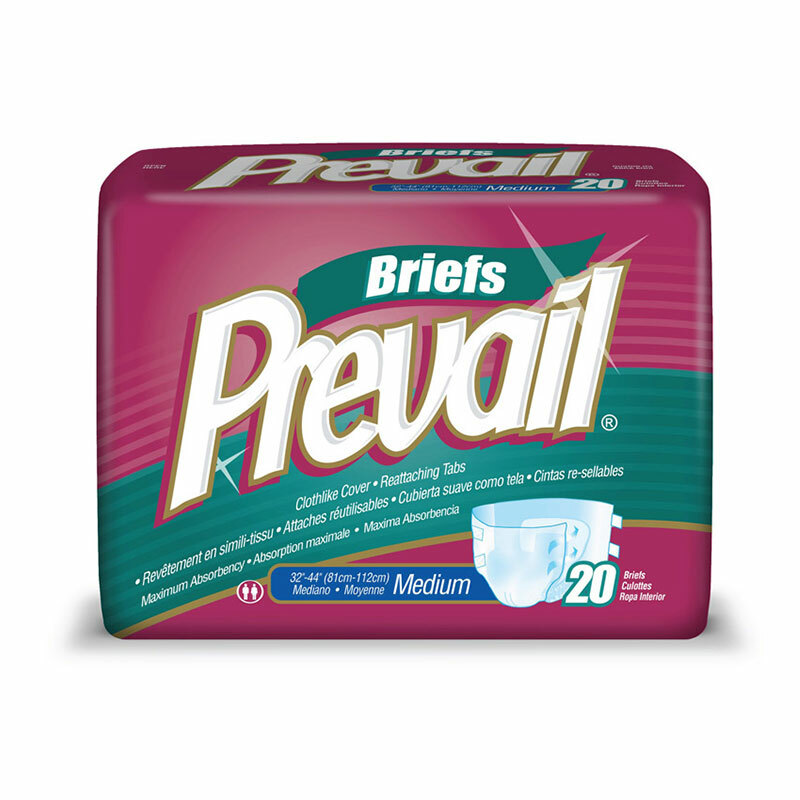 You are buying the First Quality Prevail Adult Brief MD White 32"-44" PV-012/1 80/cs - Model #PV-012/1 from First Quality. First Quality is a leading manufacturer of incontinence products including briefs, liners, underwear, diapers, and underpads. At ADW Diabetes, we do our best to offer the complete product line by First Quatliy with excellent pricing and fast shipping. First Quality Prevail Adult Brief MD White 32"-44" PV-012/1 80/cs - are full fitting briefs designed for maximum protection against heavy incontinence. These feature advanced zoning system that improves product performance and wearer comfort through specialized functional zones, easy-lock fastener, reattaching fasteners that securely grip and hold anywhere on the brief. It will reattach over and over again without being sticky.